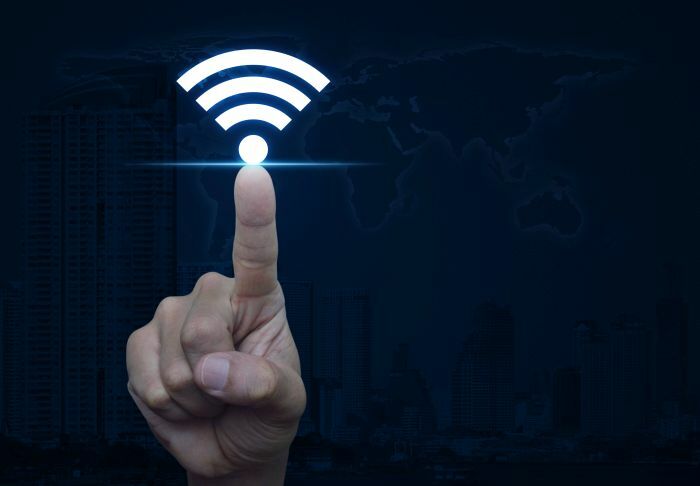 If your business values fast WiFi in the workplace, get excited—network switches with the new IEEE P802.3bz Ethernet standard may boost WiFi signal over a gigabit per second with an 802.11ac WiFi router and access points. A verifiable gigabit wireless connection on a cable network? Is the pink elephant of wireless Internet marching through the office? In February 2015, I first looked at so-called “intermediate speed” or “multigigabit” network infrastructure—routers and switches rated for 2.5/5 Gbps data rates. At that time, developers were trying to find a way to boost data rates beyond 1000 Mbps (one gigabit per second) in legacy Cat5e and Cat6 cabled environments. Well, they figured it out—and won the blessing from IEEE to take the technology to the marketplace. To clarify, “they” is a consortium of networking scientists from around the industry—lots of Cisco engineers—called the NBASE-T Alliance. The technology, simply put, automates and refines Layer 1 bandwidth allocation in real time. Those automation features in the Access Layer are shown to “evolve incrementally” the throughput for twisted-pair cables. “Going beyond one gigabit per second with Cat5e and Cat6 cables was little more than a talking point two years ago,” says Sachin Gupta, a Cisco executive with the NBASE-T Alliance. Now that IEEE P802.3bz guides production of 2.5/5 GHz switches, vendors have to use N-BASE-T Technology, which gives founding member Cisco and their subsidiary Meraki a leg up. Re-cabling network infrastructure is prohibitive for medium- and enterprise-sized businesses. Fiber cable has considerable costs for materials and labor; the network downtime can also disrupt business. Demand for a 2.5/5 Gbps LAN grew with the release of 802.11ac Wi-Fi equipment. The Wi-Fi routers lagged behind the theoretical potential—802.11ac WiFi networks can achieve 7 Gbps, but in a cable Ethernet infrastructure performance is suppressed to speeds well below one gigabit. Connectivity will be nowhere near 7 Gbps, but engineers expect to boost Wi-Fi close to 2 Gbps within two years. What will the products look like? Cisco and Meraki will be key players in mulitgigabit switches and APs—to the developer go the spoils—but other vendors are supporting the technology as well. There are several switches already available that can be configured for 2.5/5 Gbps networks. Businesses that value fast WiFi in the office stand to get a performance bump with multigigabit switches and routers. Network switches that use the IEEE P802.3bz Ethernet standard removes the cost of moving from Cat5e or Cat6 to fiber optic cabling and reduces cost to boost a Wi-Fi signal with 802.11ac Wi-Fi routers and wireless access points. Network switches with the new IEEE P802.3bz Ethernet standard may boost WiFi signal over a gigabyte per second with an 802.11ac WiFi router and access points. You may want to correct the misuse of the term gigabyte in this article. Several times you refer to speed in gigabytes per second when you should have atates gigabits per second. Big difference between the two! Thanks Dan. Nice catch. Fixed.